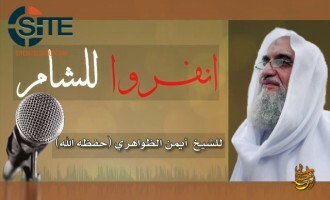 Al-Qaeda’s (AQ) as-Sahab Media Foundation republished a message from Sami al-‘Aridi, a former top cleric in the Nusra Front, with the addition of an introduction by AQ leader Ayman al-Zawahiri. 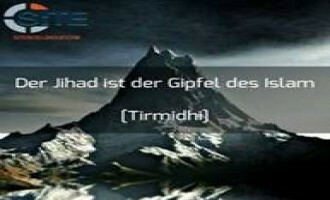 Jihadists disseminated a pro-al-Qaeda (AQ) analyst’s take on the global jihadist movement’s “current situation,” which included an assessment of the Nusra Front’s (NF) split from AQ in 2016. 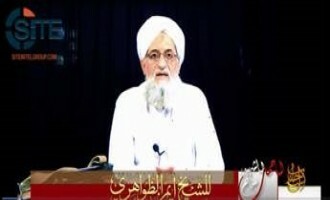 Al-Qaeda (AQ) leader Ayman al-Zawahiri gave a eulogy for two slain officials from al-Qaeda in the Islamic Maghreb (AQIM) and the Nusra Front (NF), and continued to attack the Islamic State (IS). 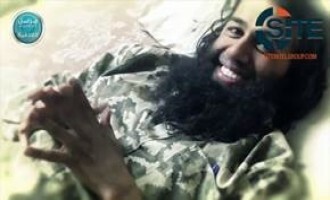 The burial footage of the Turkish Nusra Front (NF) sniper and trainer Abu Yusuf Turki was released on the second anniversary of his death in Syria, a result of U.S. and coalition airstrikes. 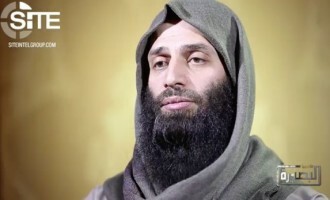 A hand-written letter attributed to high-ranking Nusra Front (NF) commander Abu Hammam al-Shami—previously reported to be dead—declared his dissociation from the group after it split from al-Qaeda (AQ) to become Jabhat Fateh al-Sham. Ahrar al-Sham released an “exclusive” extended version of an interview conducted by the London-based Al-Hayat newspaper, in which Chief of Political Relations Labib al-Nahhas discussed the group’s relationship with Jabhat Fateh al-Sham. Nusra Front (NF) and Ahrar al-Sham Islamic Movement claimed targeting the Syrian regime forces in Zara and Hirbnefsah as part of their operations within the Northern Homs Countryside Operations Room. 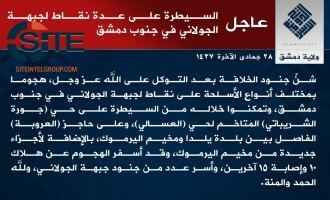 Nusra Front (NF), al-Qaeda’s branch in Syria, claimed initiating an attack on Syrian regime positions in al-Mallah on July 20. 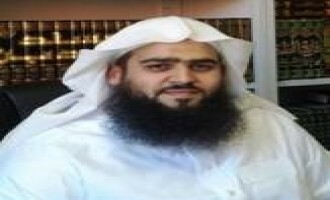 Abu Sulayman al-Muhajir (AKA Mostafa Mahamed), an Australian cleric and member of the Shariah Committee of the al-Qaeda-affiliated Nusra Front (NF), condemned the proposed U.S.-Russian Joint Implementation Group (JIG) for Syria. 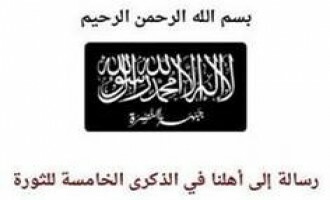 The Islamic Police of Nusra Front (NF), al-Qaeda’s branch in Syria, released a warning statement to traders in Aleppo who are monopolizing basic food and other items by inflating prices and refusing to sell. 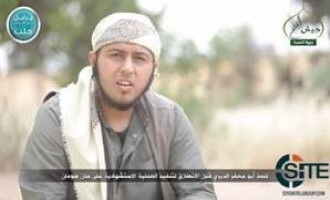 Abu Sulayman al-Muhajir (AKA Mostafa Mahamed), an Australian cleric and member of the Shariah Committee of the al-Qaeda-affiliated Nusra Front, expressed happiness for the reported death of Islamic State (IS) commander Umar al-Shishani, and continued his condemnation of the IS. 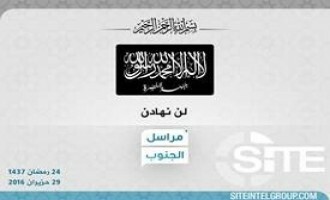 Nusra Front (NF), al-Qaeda’s branch in Syria, claimed capturing al-Zuwayqat Hill in Mount al-Akrad, Latakkia, following an attack on a regime point in the area. 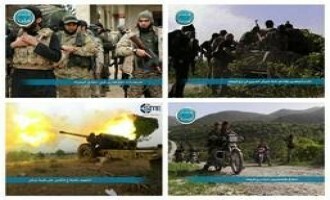 Nusra Front (NF), al-Qaeda’s branch in Syria, and Ahrar al-Sham Islamic Movement reported clashes against the pro-regime forces in the countryside of Homs in reaction to the regime’s attacks on al-Zara, Hirbnefsah, and Kesayn. 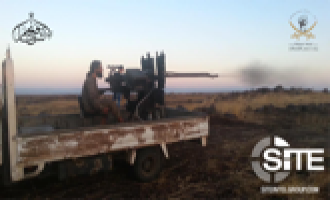 Nusra Front (NF), al-Qaeda’s branch in Syria, claimed continued advance and capturing of several points in al-Malah in the northern countryside of Aleppo in a joint attack with Noor al-Dine al-Zanki. 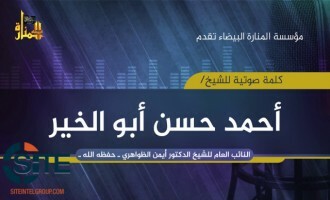 Nusra Front (NF), al-Qaeda’s branch in Syria, released an audio speech from Abu Malik al-Shami, the group’s leader in al-Qalamoun, congratulating the group on the July 7 attack on the regime-held Safa checkpoint and encouraging Muslims to mobilize. Ahrar al-Sham Islamic Movement and Nusra Front (NF) reported clashes with the pro-regime forces on the hills of Mount al-Akrad. Nusra Front (NF), al-Qaeda’s branch in Syria, claimed a surprise attack on a regime checkpoint in Western Qalamoun, which resulted in an unidentified number of casualties in the enemy forces and the capturing of 14 Syrian soldiers. 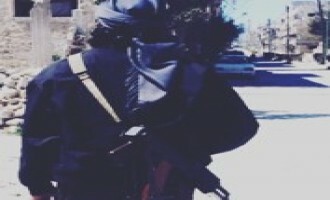 Nusra Front (NF), al-Qaeda’s branch in Syria, and the Ahrar al-Sham Islamic Movement claimed the “liberation” of the “strategic” town of Kinsabba, along with other locations in the countryside of Latakia. 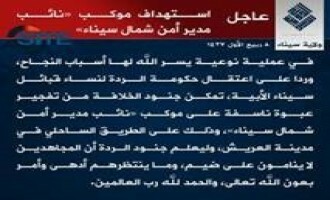 Al-Janoub Correspondent of the Nusra Front (NF), al-Qaeda’s branch in Syria, released a statement dispelling an alleged rumor that the group reached a truce with the Syrian regime in the al-Deir Khabia area of western Ghouta. Nusra Front (NF), al-Qaeda’s branch in Syria, released a video showing battles against the pro-regime forces in the southern countryside of Aleppo which resulted in the re-capturing of various areas in the region. 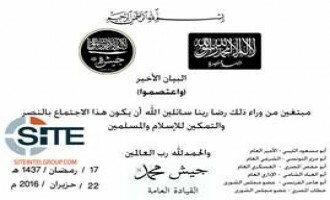 Jaish Muhammad Brigade, the foreign fighter faction operating in the northeast of Syria, released an official statement affirming its pledge of allegiance to Nusra Front (NF). 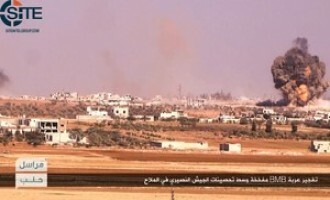 Nusra Front (NF), al-Qaeda’s branch in Syria, claimed full control over Khalasa, Zitan, and Berna as part of the offensive launched on the pro-regime forces by Jaish al-Fath in the southern countryside of Aleppo. Nusra Front (NF), al-Qaeda’s branch in Syria, released a photo report showing a military training camp in the Syrian capital, Damascus. 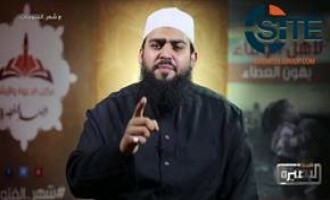 Abu Sulayman al-Muhajir (AKA Mostafa Mahamed), an Australian cleric and member of the Shariah Committee of the al-Qaeda-affiliated Nusra Front, rallied Syrian Muslims to support jihad in a video released as part of the group's series during Ramadan. As a result of Jaish al-Fath’s offensive against the pro-regime forces in Khalasa south of Aleppo, Nusra Front (NF), al-Qaeda branch in Syria and the leading group of the Jaish al-Fath coalition, claimed capturing the village following a suicide bombing carried out by one of its fighters. 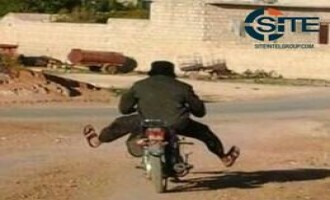 Nusra Front, al-Qaeda’s branch in Syria, announced launching an attack on the pro-regime militia forces to capture al-Khalasa, Zitan, and Barna in the southern countryside of Aleppo. 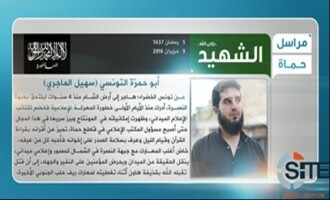 Nusra Front, al-Qaeda’s branch in Syria, reported clashes with the Shiite militia forces in al-Mallah, Aleppo, and announced the death of an official of the Hama Media Office. Nusra Front (NF), al-Qaeda’s branch in Syria, released a video speech by one of its officials and a member of the group’s Sharia Committee, Abu Abdullah al-Shami, honoring Ramadan as a month of “jihad and martyrdom” and instructing followers to fast and pray for fighters. The Aleppo Correspondent of Nusra Front (NF), al-Qaeda’s branch in Syria, claimed repelling the Shiite militia forces’ attempt to advance in Hamirah village, and announced the death of a NF commander in the battle. 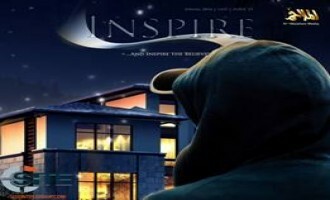 Nusra Front (NF), al-Qaeda’s branch in Syria, claimed two suicide operations in the village of Khalasa, and the seizure of al-Hamirah village in the southern countryside of Aleppo. Al-Janoub Correspondent of the Nusra Front (NF), al-Qaeda’s branch in Syria, released a video showing the “liberation” of al-Deir Khabia area in western Ghouta. 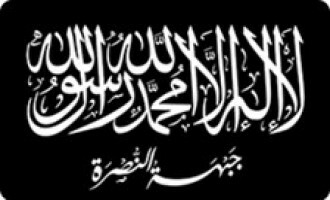 Al-Janoub Correspondent of Nusra Front (NF), al-Qaeda’s branch in Syria, claimed killing four regime soldiers at a military point located in al-Maqrousa village, western Ghouta. The Lattakia Correspondent of Nusra Front (NF), al-Qaeda’s branch in Syria, published a photo report of graduates from the “Central Training Camp” of the group. 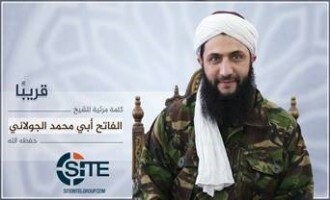 The Nusra Front, al-Qaeda's branch in Syria, released a video speech by one of its officials, Abu Abdullah al-Shami, condemning what it perceives as an anti-revolution role taken by the U.S. in Syria, and claiming that America committed a "grave sin" in hitting its fighters in airstrikes. The Nusra Front (NF), al-Qaeda’s (AQ) branch in Syria, released a video showing the recapture of several towns and villages in Aleppo’s southern countryside. 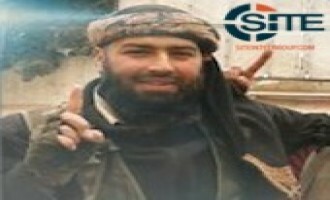 The Nusra Front (NF), al-Qaeda’s Syrian affiliate group, announced the death of Muhannad Adnan al-Ibrahim, an official in Aleppo. 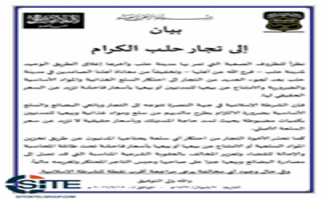 The Nusra Front, (NF) Al-Qaeda’s (AQ) branch in Syria released an infographic, claiming employment and supply increases in Hama province, Syria. 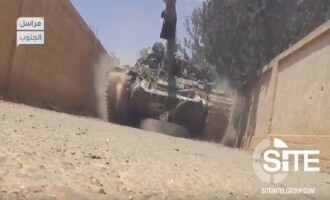 The Homs correspondent of Nusra Front (NF), al-Qaeda’s Syrian affiliate, released a video of an attack on the pro-regime forces in Tal al-Durra in the southern countryside of Hama, carried out with the cooperation of rebel groups of Northern Homs Countryside Operations Room. 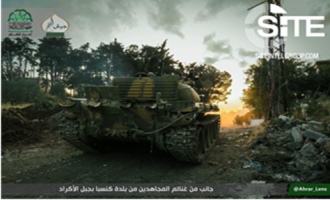 Groups participating in the Jaish al-Fath (“Army of Conquest”) coalition, spearheaded by the Syrian al-Qaeda affiliate the Nusra Front (NF), announced that they “liberated” several areas from the Syrian regime in Aleppo, releasing photo reports and videos from the areas. 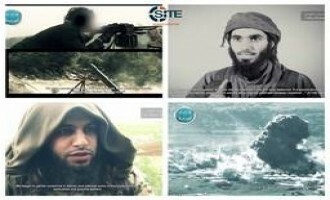 Nusra Front (NF) published videos containing a message by the fighter who carried out a suicide bombing in Khan Touman, in the southern countryside of Aleppo, and footage of the initial attacks by the group on the pro-regime forces in the area. 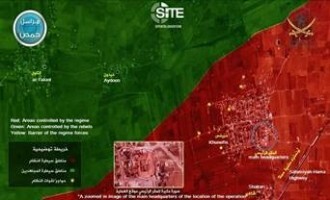 Groups participating in the Jaish al-Fath (Army of Conquest) coalition, spearheaded by Syrian al-Qaeda affiliate the Nusra Front (NF), have announced a new offensive against the regime forces in Khan Touman and the nearby villages in south Aleppo, releasing multiple reports, updates, and photos from the area. 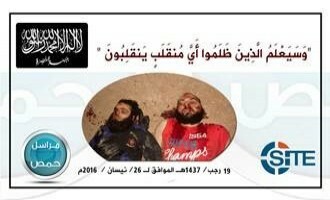 Damascus Province of the Islamic State (IS) in Syria published photos of its executing a man it identified as a Nusra Front official behind assassinations in the al-Yarmouk Palestinian refugee camp. An alleged Nusra Front (NF) fighter urged Muslims to donate or migrate to Syria as fighters or professionals instead of supporting victims of airstrikes solely on social media. 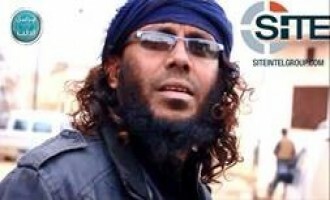 The Nusra Front (NF), al-Qaeda’s branch in Syria, claimed killing Rafed Taha, the military commander of Islamic State (IS) in northern Homs, and called upon the IS fighters to repent. The Nusra Front (NF), al-Qaeda’s branch in Syria, released a video discussing the beginning and the progression of the revolution in Syria, predicting the Syrian regime will collapse in less than three years. A self-proclaimed widow of killed Nusra Front (NF) fighter in Syria promoted a Facebook page dedicated to raising money for widows of jihadi fighters. The Nusra Front (NF), al-Qaeda's branch in Syria, claimed recapturing al-Eis from pro-militia regime forces following intense clashes. 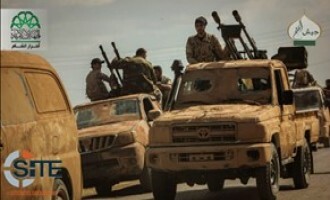 The Nusra Front, al-Qaeda's branch in Syria, claimed attacking Zitan and Barnah in south of Aleppo in an attempt to seize the villages from the Syrian regime. 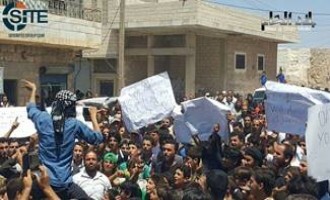 Syrian rebel factions including Ahrar al-Sham, Jaish al-Islam, Nusra Front, and Faylaq al-Sham announced seizing numerous villages in battles against the Islamic State in North Aleppo and Daraa, and against the Syrian regime army in Lattakia. Damascus Province of the Islamic State (IS) claimed seizing control over several positions held by the Nusra Front, during which they killed 10 fighters from the al-Qaeda branch, and captured an unidentified number of others. 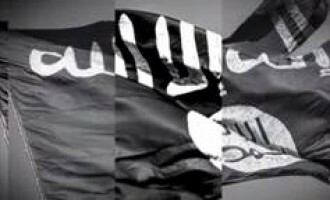 Al-Qaeda in the Arabian Peninsula (AQAP) and al-Qaeda in the Islamic Maghreb (AQIM) each gave eulogies for Abu Firas al-Suri, an official in al-Qaeda's branch in Syria, the Nusra Front. The Nusra Front (NF), al-Qaeda’s (AQ) branch in Syria, accused Ahrar al-Sham for the death of military leader Abu al-Homsi Sakkar in Idlib, warning the group about recruitment from other factions. 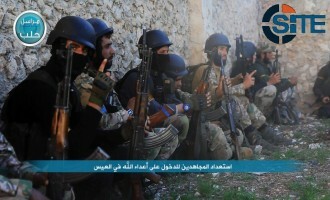 The Nusra Front (NF), al-Qaeda’s (AQ) branch in Syria, claimed killing a large number of Syrian soldiers after raiding their headquarters in Kunefis village, in the northern countryside of Homs. 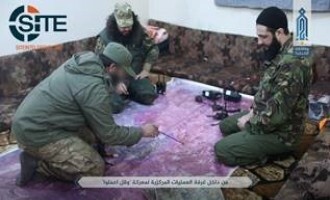 The Nusra Front, al-Qaeda's branch in Syria, confirmed the death of Abu Firas al-Suri in a U.S. airstrike, and accused America of "blatantly" helping the Syrian regime with this action. The Nusra Front (NF), al-Qaeda’s (AQ) branch in Syria released a video showing a Syrian warplane downed in the southern countryside of Aleppo and a testimony by its pilot, who was captured injured. The Nusra Front (NF), al-Qaeda’s (AQ) branch in Syria, released a video on water and electricity plant projects in the countryside of Hama. The Nusra Front (NF), al-Qaeda’s (AQ) branch in Syria, released a video memorializing a Maldivian suicide bomber for the one year anniversary of the taking of Idlib. Jihadists are reporting that Nusra Front official Abu Firas al-Suri, his son, and several people with him were killed in a U.S. airstrike in Idlib, Syria. 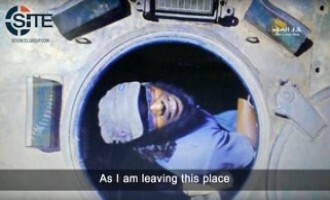 Pro-NF jihadists posted the news on Telegram and Twitter on April 3, 2016, and mourned his death. The Nusra Front (NF), al-Qaeda’s Syrian affiliate group, announced the taking of al-Eis village in Aleppo, along with surrounding areas. The Nusra Front (NF), al-Qaeda’s (AQ) branch in Syria, released a video of a military training camp located in the northern countryside of Homs. 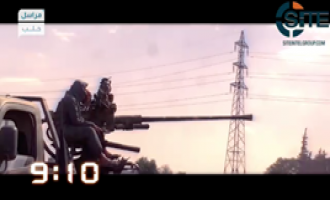 The Nusra Front (NF), al-Qaeda’s (AQ) branch in Syria, released a video celebrating the fifth year of the Syrian Revolution while claiming to have experienced a spike in recruitment. In the second consecutive day of clashes with the Nusra Front in the western Qalamoun, Damascus Province of the Islamic State (IS) claimed killing 17 fighters and forcing the remainder to flee. 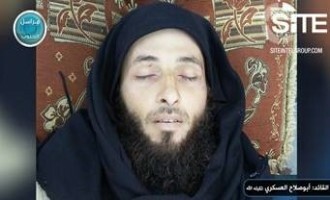 Nusra Front (NF), al-Qaeda’s branch in Syria, announced the death of Tareq Mez’al al-Masalmah (a.k.a. 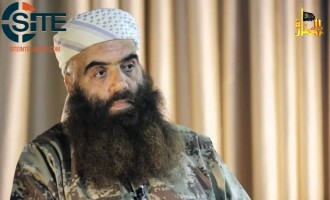 Abu Salah al-‘Askari), the group’s military emir of al-Jnoub Province. 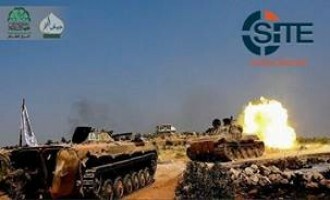 The Nusra Front (NF), al-Qaeda’s branch in Syria, claimed to have attacked the Syrian regime army in the northern countryside of Homs, in which the group killed a number of soldiers and destroyed a tank. Rabitat Ahl al 'Ilm Fi al-Sham (the Association of Scholars in Sham) released a statement demanding the cessation of hostilities between Nusra Front (NF) and Division 13, and demanded the release of captives from both parties. 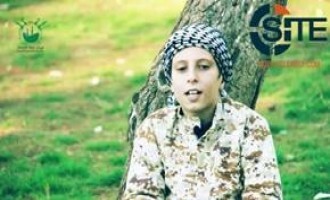 The Jihad Callers Center, a Syria-based group led by pro-Nusra Front Saudi cleric Abdullah al-Muhaysini, released a video publicizing the work of a child preacher, showing, for example, his lecturing children and adults. The Nusra Front (NF), al-Qaeda’s branch in Syria, released a video showing their discovery of Hezbollah fighters positioned to attack the group’s supply route in Arsal Hills located on the border of Qalamoun. 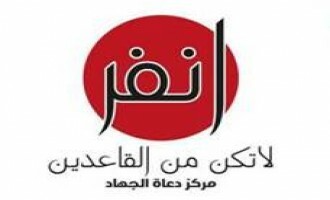 Following the Nusra Front claim that “Division 13” stormed its headquarters and the houses of its fighters in Idlib, a new statement from NF demanded that the responsible parties from both sides be trialed in an independent Sharia court under the supervision of three prominent scholars. 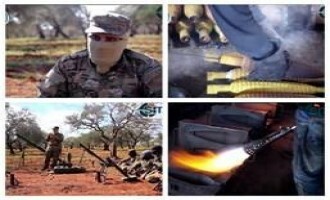 The Nusra Front, al-Qaeda’s branch in Syria, released a video on locally manufactured mortar weapons, their use in battle tactics, and mortar group training. The Idlib correspondent of the Nusra Front, al-Qaeda's branch in Syria, issued a statement on actions against its fighters in Idlib by the FSA faction Division 13. The Nusra Front (NF), al-Qaeda’s (AQ) branch in Syria, claimed capturing al-Eis from the Syrian regime in the southern countryside of Aleppo.